Mission Street from Cesar Chavez to the hilltop that straddles the east side of the Bernal Cut is one of the boundaries of the area dubbed La Lengua by our friend Burrito Justice, but has long been referred to as the "outer Mission" by locals. 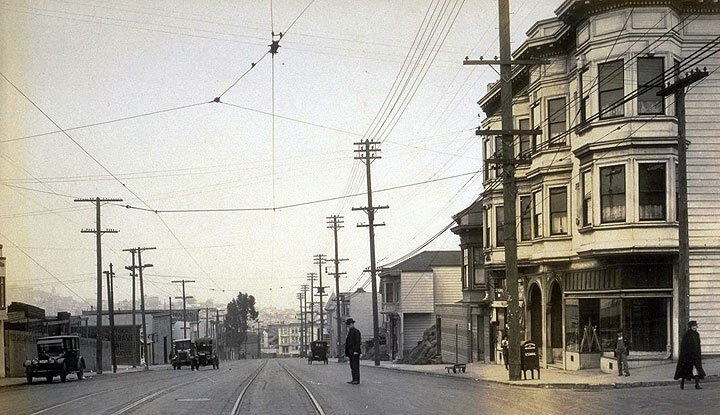 Mission Street north from Precita, 1926. 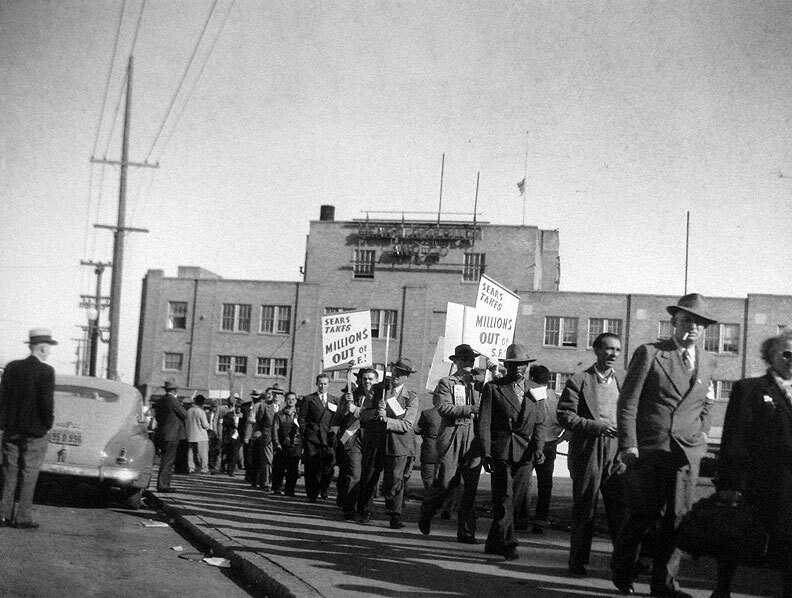 Picket line at Sears, Roebuck & Co. along Mission at Army Street (now Cesar Chavez), c. 1950s. 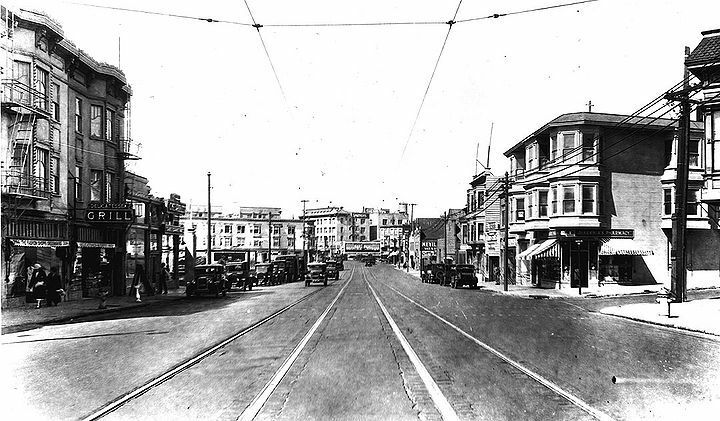 Mission Street south from 30th St., 1920. Valencia and Mission, August 1944. 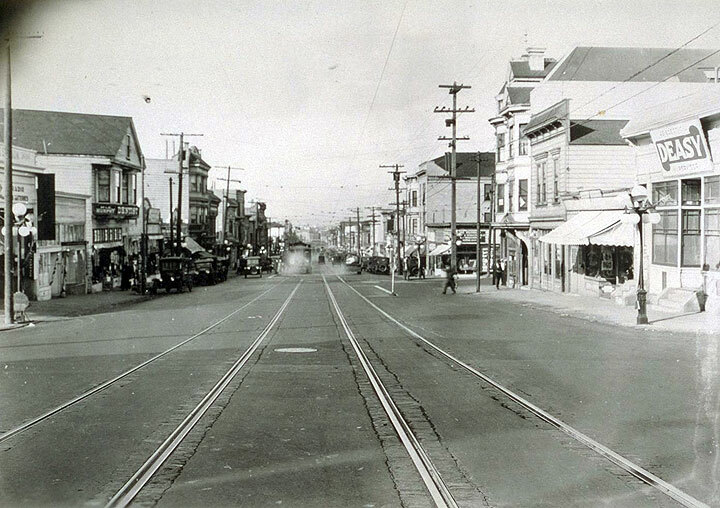 North on Mission from Cortland Avenue, September 1925. 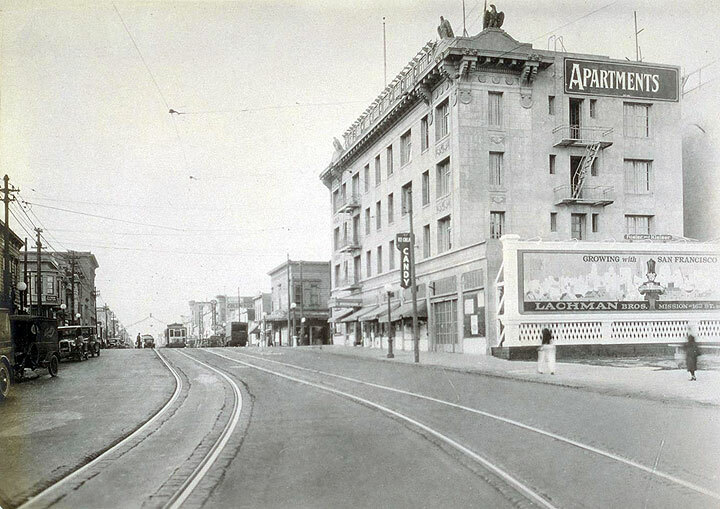 North on Mission Street from (then) Army Street, August 1927. 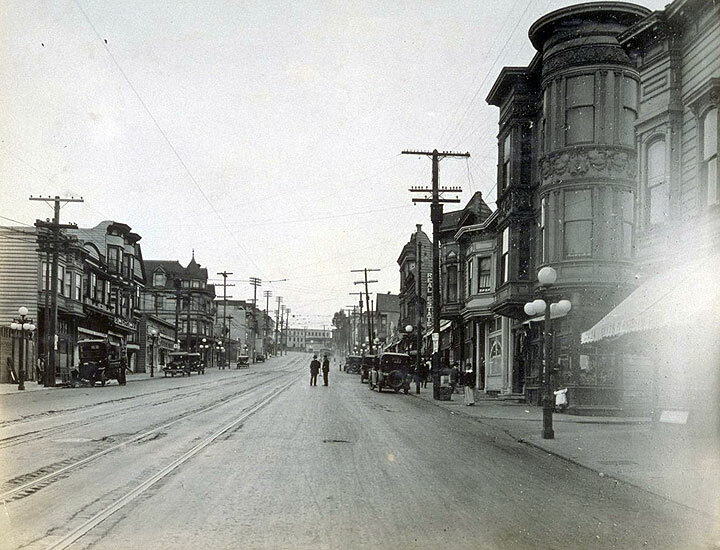 North on Mission from Highland Avenue, October 12, 1922.